These are all of the WebRings of which I am a member. This 20ish Parents Webring site owned by Ginger. Want to join the Loving Mothers Ring? is owned by Ginger's Parenting Page. Click here to join the Family First Webring! 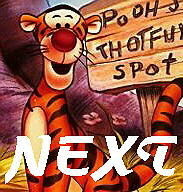 Want to join Poohbear's Webring? Click here for info. 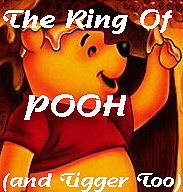 Want to join theRing of Pooh(and Tigger Too)? ThisSMASDWR site owned by Ginger. This @NetBaby.com Web Ring site is owned by Ginger's Parenting Page. Want to join the @NetBaby.com Web Ring? Click here for info. This Women And Children site is owned by Ginger's Parenting Page. Click here to get information on joining our ring: Women And Children . Go back to My Parenting Page.